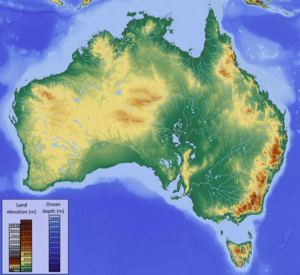 Did Africans get to Australia before Europeans? Back in 1944 during World War II, after Japanese bombers had attacked Darwin two years earlier, the Wessel Islands - an uninhabited group of islands off Australia’s north coast - had become a strategic position to help protect the mainland. In 1979 he rediscovered his ‘‘treasure’’ and decided to send the coins to a museum to get them identified. The coins proved to be 1000 years old.Still not fully realising what treasure he held in his hands, he marked an old colleague’s map with an ‘‘X’’ to remember where he had found them. In 1606 a Dutch explorer named Willem Janszoon reached the Cape York peninsula in Queensland, closely followed a few years late by another Dutch seafarer Dirk Hartog. And the Spaniard Luiz Vaez de Torres discovered the strait between Papua New Guinea and Australia, which was later named Torres Strait in his honour. However, none of these explorers recognised that they had discovered the famed southern continent, the ‘‘terra australis incognita’’, which was depicted as a counterweight to the known land masses of the northern hemisphere on many world maps of the day. McIntosh and his team of Australian and American historians, archaeologists, geomorphologists and Aboriginal rangers say that the five coins date back to the 900s to 1300s. They are African coins from the former Kilwa sultanate, now a World Heritage ruin on an island off Tanzania.